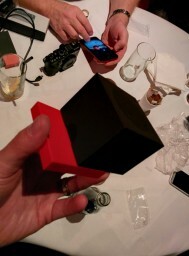 Last Thursday, the 7th November 2013, I was lucky enough to be invited to go to an HTC Elevate Meet up in London. This is the first time I have been able to make one of the meet ups and it was a great chance to meet some of the people that are in the community, as well as Jason Dunn from HTC itself. 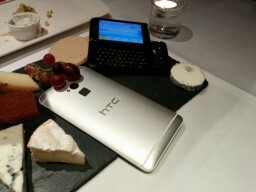 The whole point of the meet up was so we could get to see HTC’s newly launched One max. 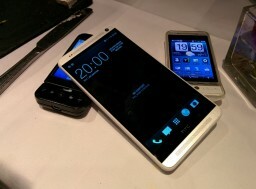 The One max is a HTC’s answer to the phablet trend that is growing in mobile, thanks to the likes of Samsung’s note series of devices. Despite this being mainly about the One max I also got to play with the One mini, and the Desire 500. The Desire 500 was a bit of a surprise, in a good way. It’s a decidedly mid-range device, but it is actually pretty amazing. It runs Blinkfeed and everything you’d expect from one of the newer HTC’ devices, but that is not what got me. The design was. As you’ll see in the pictures it was the white Desire 500 with the red trim. It looked perfect, felt perfect, and reminded me a lot of my One S. You do miss out on the BoomSound speakers, but overall for the cost it is a very impressive device and worth considering if the One series isn’t for you. As it is also Movember, which is something HTC support quite a lot, we all put on some fake mos for a group photo. 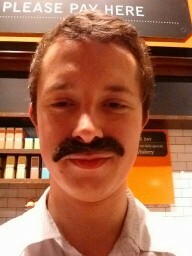 There’s a picture of me with mine on – now If only I could grow one like this. I’d like to thank Jason Dunn for making the trip over and hosting the event. I don’t envy his trek around the globe with little time for rest or sight seeing. 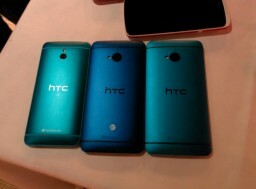 HTC One In Blue. The American version is slightly darker, and I kind of prefer it. HTC One max with the G1. HTC BoomBass – Quite a cool little speaker. Acts as a nice stand too. 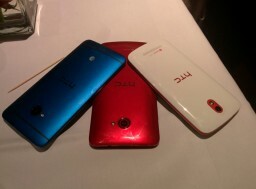 The One in Blue and Red, and then the Desire 500.